Designed to remove Keratin Bonded Hair Extensions. This can be suitable for I&K, Fab and VL Hair extensions. Avoid contact with scalp. 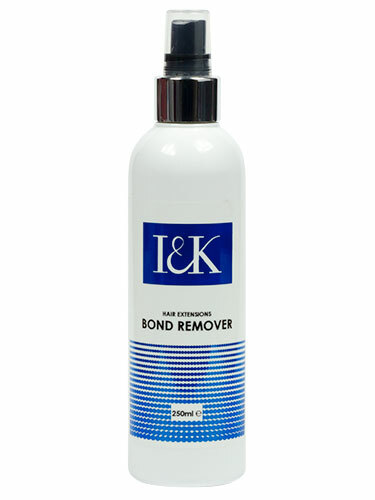 Crush bonds (so you crack the seal), spray remover, crush again and remove.